As the baseball playoffs roll on without my beloved Red Sox or adopted Twins, this is a brief look back at the story of the new Comiskey Park. Gone is the myriad of poles, which, depending upon the seat, blocked out the pitcher’s mound, home plate or first base. Gone are the tight aisles and confining concourses, which had fans packed together like so many ballpark hot dogs. And perhaps the most vital statistic to some: The new Comiskey has 25 bathrooms compared to 12 at the old place. That’s another plus over tradition. They’ve done it. The future finally has met the past. The wondrous collision has produced Oriole Park at Camden Yards. It’s a new ballpark that feels as if it has been hatched from a time capsule. It’s probably what the new Comiskey Park should have been. In fact, Oriole Park looks more like old Comiskey Park than the new one in Chicago. Comparisons also will be made to the new Comiskey Park, the first of the new facilities in the ‘90s. On most points, Oriole Park wins. Comiskey Park has been viewed as the last of the modern, functional ballparks of the 70s and 80s or perhaps as the bridge between those parks and new retro look ballparks that followed, beginning with Camden Yards. Either way, not only the standard, but much of the actual scale for measuring new ballpark design changed with Camden Yards. Some of the new ballparks built since 1992 may not have come close to matching Camden Yards, but few, if any, even tried to match the look and feel of the new Comiskey Park. It was a whole new ballgame. Some have attributed the design choices in the new Comiskey Park to factors such as lack of time (about 3 years and it opened on time), budget (approximately $135 million compared to $200 million for Camden Yards), and physical constraints of the neighborhood. The architect stated, “[w]e did the best we could with the money we had. What you see is a real building that had the realities of budget and schedule play on it.” Accepting that, we can view the new Comiskey Park as a transition to the future rather than a symbol of the past, but still must acknowledge that in the 1990s ballparks broke free of the standardized, multi-purpose box they had been placed in during the preceding era of stadium renovations. The new parks were built for a single purpose, designed to suit their particular context, and followed individual blueprints. As evidenced by the original reactions to the new Comiskey Park, it is not that the parks of the previous era were bad places to watch a ballgame. 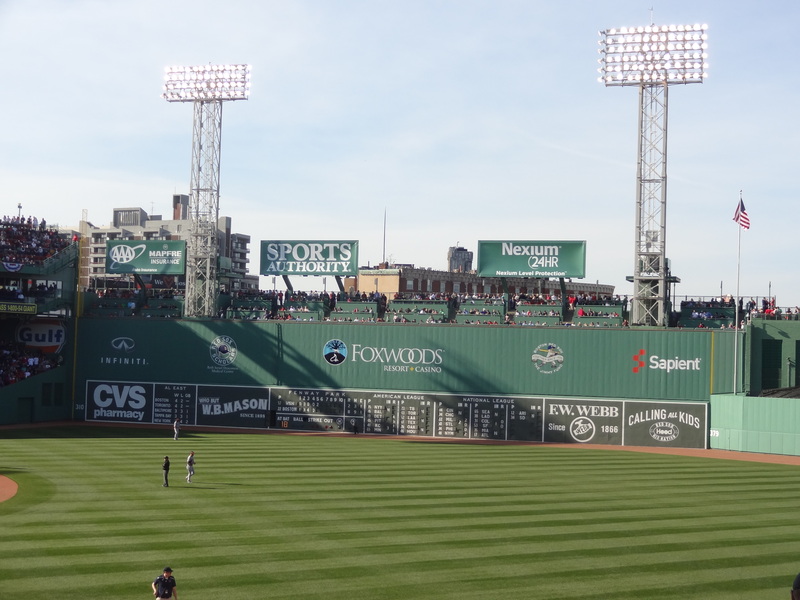 I grew up watching baseball in Fenway Park, self-proclaimed as America’s most beloved ballpark, and still enjoy attending a few Sox games each year with family and friends. However, I loved watching the Twins at the Metrodome while attending graduate school in Minnesota in the 1980s. Sure, the ball might bounce 20 ft. in the air when it hit the ground, fielders could lose balls in the off-white background of the inflatable roof, and you were literally blown out of the place when they opened the doors at the end of the game (actually, that was kind of fun). On the plus side, however, there were no poles totally blocking my view of home plate or the pitcher’s mound in $50 seats. I never had to worry about freezing in April or early May, sweltering in the hot sun in the summer, or sitting for three or four hours in a cold drizzle watching a game that should have been postponed. The Metrodome was a very comfortable place to watch a ballgame. Now the Metrodome is gone. 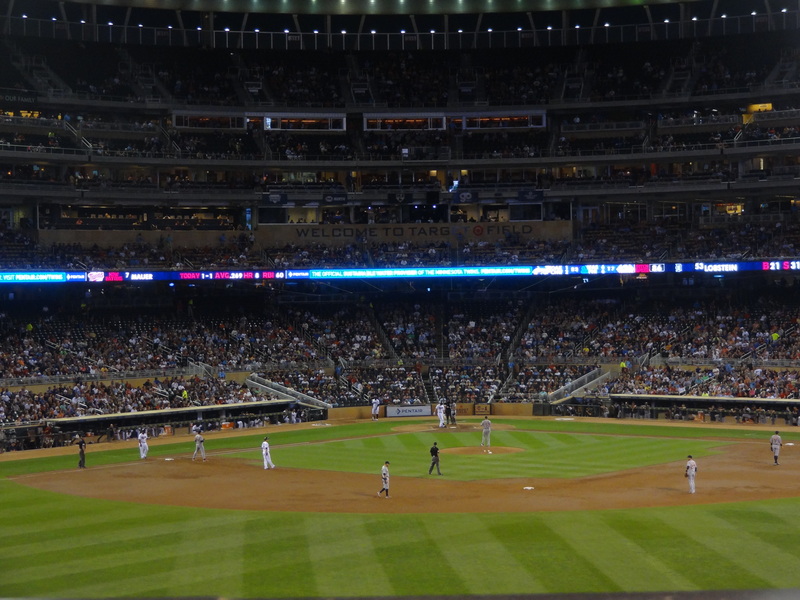 Last month I attended my second Twins game in Target Field – a beautiful new baseball-only park built in downtown Minneapolis. It was a wonderful 70 degree night, perfect for outdoor baseball. I enjoyed the game and my bag of Minne-donuts (Minnesota’s version of fried dough), but had no idea it would turn out that way when I bought the tickets and planned my trip to Minnesota months earlier. For all of its faults, the Metrodome would have looked pretty nice on a cold and dreary September night. They probably considered a retractable roof when they designed Target Field, but in the real world there are always tradeoffs. No, the new Comiskey Park was not perfect and was not the new bright and shiny star for long, but it is still standing. Now called U.S. Cellular Field, it has undergone extensive renovations over the years, and by all accounts, is a pretty decent place to watch a ballgame. Even though the world had moved on from the new Comiskey Park even before it opened (construction of Camden Yards was well underway in April 1991), it continues to serve its purpose well 24 years later. Finally, although it is not the White Sox, there is a team from Chicago in the playoffs this year. It’s October. It is a great day for a ballgame!